I’ve been thinking a lot about a place where I used to waitress. It’s funny how a place which once seemed so utterly foreign can sneak it’s way into your heart irrevocably. When I left my temporary position at a daycare in the center of New York City and started waitressing at a senior assisted living home….. I had no idea what I was getting in for. I miss counting bananas at 6:30 am, and pouring exactly the right cheerios-to-special-k ratio into certain individuals cereal dishes, and trying my best to take orders for 40 people within forty-five minutes, while pouring endless cups of coffee, warming prune juice and trying not to burn the toast. I miss my sister whisking me into the storage room whenever a certain individual came into the facility drunk and toting a gun. I miss the chef crashing pots and muttering one minute, and bursting into song the next. Mostly, I miss the people we served. The hilarious, scary, heroic people. People with stories so complex that they would never be fully told. I feel like writing about some of them, because their memories keep popping up in my heart. Ellie* always wore red and was best known as the house’s undercover flirt. Her secondary reputation was for squirreling things back to her room (Christmas tree ornaments, creamers, napkins…). She always fell into a deep sleep at the table, and her lively table-mates would try in vain to arouse her. One day, I set her omelet, toast and hash-browns in front of her, and returned ten minutes later to find her snoring, her food untouched and becoming quite cold. I tried to wake her up, but when my voice met deaf ears, I put my hand on her shoulder. “Ellie, your food is getting cold,” I said. It took every heroic effort I could make to keep a straight face. Judging by her moral standards, Ellie was the last person I’d ever expect to be praying–in between snores and for ten minutes straight, no less. I had to give it to her though, she sure could think on her feet! Rach used to sit in a fat sofa chair, as calm and relaxed as an angel. The only give-away to her true mischievous spirit was her bright, sparkling eyes peeking out above her huge square-rimmed glasses. She was terribly sneaky. The minute our backs were turned she would dart down the hall, push one emergency exit door, and then, while the nurses rushed to check out the situation, quietly sneak outside through an alternate exit. It made me so sad that she had to be dependent and live her life indoors. I could imagine her as an spit-firey, adventurous athlete in her prime. Rach left near the beginning of my career, and I was very sad to see her go. I loved the fact that disease had not squelched the fun and adventure inside of her. So many times after she was gone I wished I had taken the time to sketch those bright, sparkly eyes peeking mischievously out between her lowered brows and the brims of her glasses. Harold was 99, and a veteran, and he had a nose like I have never seen before. It was a nice little nose, and the end was pinched into a tiny square. The square tip on his nose amazed me every time I saw it. 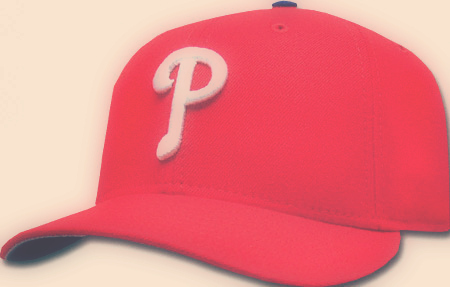 He wore a red Phillies hat every single day, and every single day he arrived first at his breakfast table, took off his hat, and sat on it. Harold was hard of hearing, so he didn’t say much, but when he did it was worth listening to. He used big words. Somehow I never expected big words to be a part of a person’s life at 99. The nurses all had a soft spot in their hearts for him, and tried to make conversation. One day when they asked him several questions about how long he was married, etc, he finally looked up at them from under the little red brim of his hat, and asked quite incredulously, “Now why would young ladies (they were middle-aged, which definitely seems young when you are 99) be so concerned about my marital status?!?”. Fritz loved to sing. My best guess is that 10% of the words he said were in song. He was a part of his church’s choir, and always came down to breakfast singing. If Fritz saw me wearing my blue polo shirt, he would burst into song about the “Bluebird of Summer”. Even in my half-asleep morning stupor, it made me laugh. He led the entire dining room in the national anthem on every holiday, and I wish you could have heard it. Something about the blended voices of people who had weathered so many storms in life was very, very special. I never met a 102-year-old person until I took this waitressing position, and was amazed that a lady could attain such great age with superb health! Her name was Lorraine, and boy, was she sharp! She remembered every person she met, and brought up subjects that they had talked about. She had thick, beautiful white hair, a big build, and a commanding voice. Everyone respected her. Lyle was a retired pastor, and his poor mind was not at rest. Very sad, actually. He was a tiny man, but amazed everyone by eating enough for three people his size. One day he refused to order anything for breakfast. He refused to touch anything we gave him, and finally, annoyed at our efforts, he laid down the law emphatically. An endless line of memories marching through my mind, these people are. Lisa, who consistently forgot to bring her teeth to the breakfast table. Francine, who went for a walk every single day, no matter the weather. Pauline, who lived each day with horrendous pain, and always had a smile and a sweet “Thanks!” for me regardless. Their lives are intriguing to me. Living examples of where a different array of life choices will take you. These people know what real pain is. They’ve come through a life of hardships, and at the end of it all, they’ve learned what it’s like to lose independence forever, to give their pets away, to sell their possessions to people who are only looking for a deal and have no real respect for them, to sell the house they built themselves. They know what it’s like to spend their life hooked to an oxygen tank, to live a schedule defined by medication times, be denied their favorite foods, to fear tripping while they walk because they know it will mean a trip on an ambulance, weeks in the hospital and rehab, and health that will never be the same. Yet, they survive it all and still have something to give. Even if it’s just telling a story, or making me smile.